DOP money remittance is a mobile application that enables us with immediate money transfer from one place to another place using mobile, through Indian post offices. 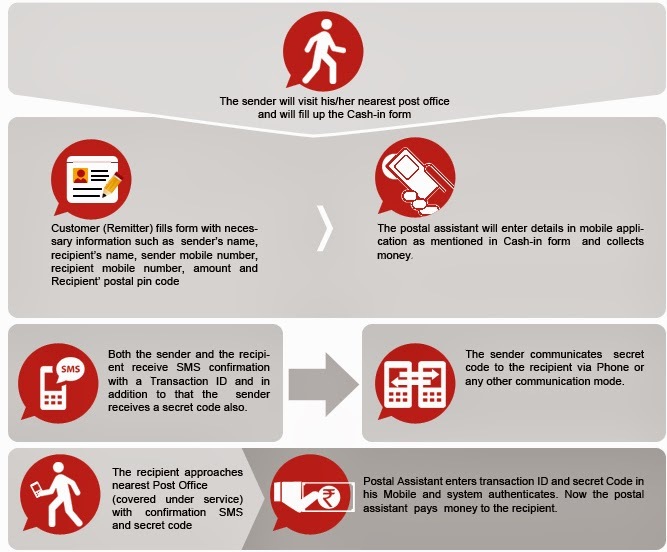 The process for money transfer is very simple to understand and follow. For this initiative, India's oldest and largest communication service provider (CSP), BSNL will provide mobile connections to DOP’s designated officials and BSNL will bring Global technology for Mobile Money Transfer.